Is your billing practice giving customers the best value for their money and time? Are you leveraging the latest technology to reduce the need for hiring and training billing teams? Is your billing practice compliant with AAPC standards? If your answer is no, then you need to outsource physician billing services to an experienced billing partner like us. Outsource2india is aware of the ever-changing medical billing landscape where maximum attention is needed to avoid risking monetary loss. Be it a patient statement, compliance laws, coding regulations, or follow up with payment issues we have a suite of billing solutions that will steer you away your worries in a finger snap. Why feel concerned about the cost of recruitment, training, and employee sick days when we can work round-the-clock to deliver a finished project in a short TAT? Return of interest is a top concern for physicians, just like any each one of us. However, to get paid in time, it is necessary for medical billing to be completed without errors. Our team of physician billing experts is a boon for billing departments because we conform to your requirements without altering the existing workflow. 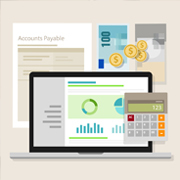 We offer practice management (PM) system that lets you supervise billing practices. If you are using our medical billing services, this service will help you in a big way. As part of practice management, you can supervise patient onboarding, appointment scheduling, interaction with single or multiple physicians, patient check-in/check-out, verification of insurance, encounter forms, recall system, and much more. O2I's practice management will lower the cost of billing services and let you focus on patient care by streamlining your front-end billing process without clerical errors. If integration will help you smooth out creases in billing practices, we have just the right solution you need. Our PM system can mesh with any EMR system to sync every aspect of the service. Our service will automatically pull payment data without operator intervention while patient appointment and demographics are transmitted to the synced EMR. We offer an entire range of medical billing services that includes medical coding, transcription, EHR review, etc. Our services are executed by AAPC certified coding professionals who are adept at ICD-9, ICD-10, ICD-11, CPT, and HCPCS. We track claims status in real-time for faster reimbursement. Additionally, claims are also filed electronically to avoid payment bottleneck. We execute insurance eligibility verification in real-time as a batch process. This saves the patient's time and effort spent to obtain preauthorization. Maintaining a paper trail is an arduous challenge even for large billing companies. We routinely compile reports and maintain documentation that is offered to providers and insurance payers to bring clarity into the work accomplished. Unpaid claims can come in the way of fielding profits. We follow-up with payers if physicians are underpaid, or not paid at all. We pull billing, insurance, and aging reports to efficiently tackle claims denial. We capture and post the payment to provider's account. In the case of payment discrepancies, we proactively review billing data and explanation of benefits (EOB) to provide the best value to physicians. It is troublesome for physicians to follow up on slow-paying and non-paying patients. We dispatch accounts statements to patients reminding them to clear outstanding dues. 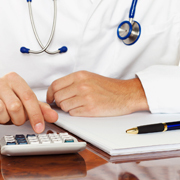 Why Choose O2I's Physician Billing Services? We are an ISO certified provider of physician billing services in India with a customer base spanning 170+ nations. We have the qualification and resources to efficiently carry out physician billing. When you work with a physician billing services company like ours, we go above and beyond to protect your invaluable data. We are an ISO 27100: 2013 certified organization and protect your confidential clinical & demography data from unauthorized members under all circumstances. Our team ensures that all critical information is handled with utmost care so that you get the best ROI. Once you outsource physician billing to us, we emphasize upon the quality to bring you higher reimbursement. We keenly look for errors and modify the data that can otherwise cause your submission to return unfulfilled from payers. When you need quick reimbursement, we are the right people for the job because our years of experience in billing functions enable us to swiftly turn patient data into payment. We always have an eye on the future when it comes to physician billing services. You can always rely on our solutions to scale up when needed. Save up to 50% in cost by outsourcing physician billing because we provide no-frill, cost-effective service that is customized for your requirements. We assign a dedicated professional during the project term to handle your queries. Whether you need updates on project reports or have inputs for us, we are ready to respond quickly. Our billing team has a strength of 200+ AAPC certified professionals with 8+ years of experience. We stringently follow HIPAA compliant practices to ensure quick and efficient completion of the project. Our team of billers is proficient in ICD-9, ICD-10, ICD-11, and HCPCS system. Experience a 50% shorter project delivery time by partnering with us because we follow practiced steps that are further perfected at our latest infrastructure by facing more complex challenges in the medical billing. It is easier to send your sensitive to us without concerns of loss or mismanagement. We use VPN and secure FTP to facilitate secure exchange of account, insurance, and demographic data. We are available 24/7 at your local time zone when you need to reach us. You can get in touch by email or phone call to get a fast response from our subject matter experts. A Houston-based client contacted Outsource2india to outsource charge and demographic entry. They faced a cash crunch along with employee turnover resulting in delayed claims submission. By proving a customized solution, we helped the client rake up 45% profits and the claims were verified with an accuracy of 98-99%. Outsource2india handled the complete medical billing process for a large medical billing company based in the US, improving productivity by 30% with error rates below 2%. We processed 150 files a month with an error rate of just 2%. I am very impressed at the ease and the speed of the dictation service. They worked to my schedule and delivered well. I am very happy with the quality of the dictation work. Bernard (Sales Manager) was always prompt with replying as well as professional at all times. I would highly recommend this service to my clients and my colleagues. I am very happy with the quality of the dictation work and look forward to working with Outsource2india in the future. Outsource2india is a reputed physician billing services company with 20 years of contiguous experience in medical billing & coding services. Our billing process is HIPAA compliant and we take stringent measures to ensure billing processes are carried out with care and precision. With well-equipped global delivery centers, we are equipped to handle your needs at a quick turnaround time. We provide customized billing solutions exclusively for you irrespective of your budget size. Reach us now if you have similar needs and get a free quote in 24 hours.